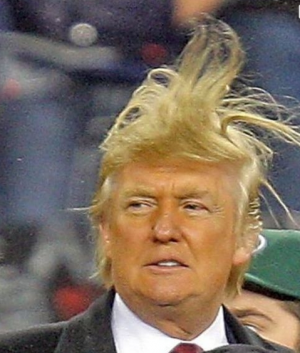 Huff Post calls Trump campaign "entertainment"
Is Donald Trump is a candidate or a clown? Huffington Post is categorizing Donald Trump as a “sideshow” and has announced that they will no longer cover Trump’s campaign as news. “After watching and listening to Donald Trump since he announced his candidacy for president, we have decided we won’t report on Trump’s campaign as part of The Huffington Post’s political coverage. Instead, we will cover his campaign as part of our Entertainment section. Is it right for news media to refuse to cover Trump’s campaign? 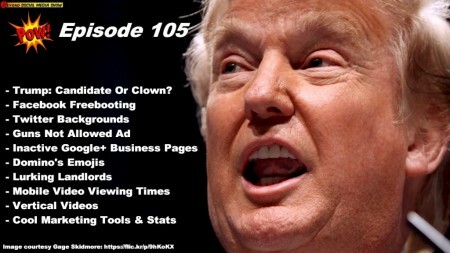 Guest co-host Ray Hiltz and I discussed this topic on episode 105 of Beyond Social Media Show. You can watch that segment, which begins at 10 minutes and 5 seconds into the video. Please share your views in the comments of this post. The video is time-stamped, so it will jump directly to that segment when you click on the time beside the description below the video. Bonus: Take this quiz by the Washington Post to see if you can recognize Trump’s outrageous quotes.